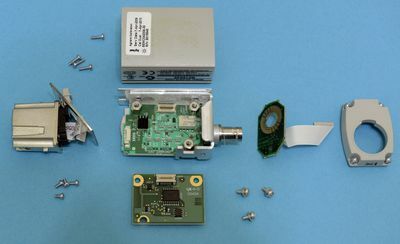 High-end Tektronix (series 7000/70000) have proprietary TekConnect HF inputs, which accept only 50 ohm inputs. This limits usage of such scopes only to special (read - expensive) TekConnect active probes. Also using DIY is not a simple forward path either, as even simple passive adapter from TekConnect to BNC or SMA (TCA-BNC, TNC-SMA) cost few hundreds USD on ebay easy! If you want use 1 Meg input impedance options even more limited, with Tek's offering of TCA-1MEG amplifier, which costs ~500$ used.